Election nights can become a blur of predictions and projections, particularly when elections are close. 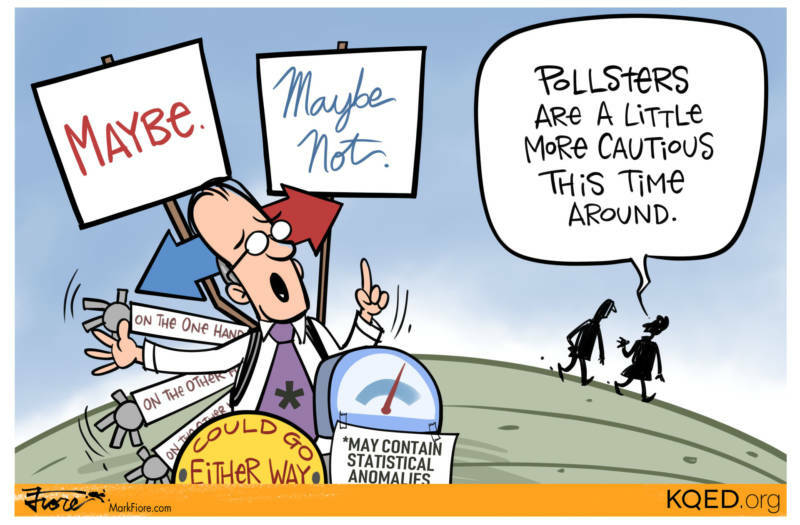 After President Donald Trump's surprise win in 2016, pollsters are a little more cautious with their midterm election prognostication. The sure-fire way to know who wins, of course, is to wait until the votes are counted. Follow KQED's ongoing election coverage.